Originally founded in 1973, Hamilton Kitchens is proud to enter its fourth decade in business. We provide specialized services for the remodeling of kitchens and baths and are known for our all-around customer service and commitment to satisfaction. We stick to schedule, our staff is neat and tidy and we are clean and courteous in your home. Our showroom has eight different kitchen displays and features countless door, countertop, and wood design samples. Hamilton Kitchens continues to offer old-fashioned, personalized service for a once-in-a-lifetime design experience. Our installation staff is experienced in all phases of remodeling. A dedicated and hands-on team works from start to finish on every project here at Hamilton Kitchens. We have a passion for our industry and are proud to continue the legacy that was started over four decades ago. Michael started out in the construction field over 32 years ago. Michael is involved in all aspects of construction, from new homes to remodeling, and framing to trim work. He deals directly with contractors and/or homeowners and over sees all aspects of the jobs, from demo to finish. 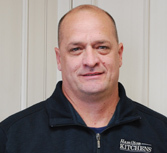 He is proud to own Hamilton Kitchens since 2002. Doreen started at Hamilton Kitchens as the office manager and did perspective drawings of kitchens and baths by hand. In 1990, she became involved in designing and sales. She loves meeting new people and taking an old space and creating a “Dream Space” our customers will enjoy for years to come. 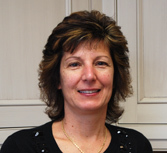 She has been a part of Hamilton Kitchen’s family for over 31 years. As a full-service kitchen and bath design company, we have completed hundreds of unique projects for satisfied customers. We pride ourselves on our dedication to being both professional designers and high-quality installers, and our work speaks for itself. Below are some of the many stories, thank-you notes, emails and other messages we have received from our wonderful clients and customers. Thank you and all involved for job well done. We really enjoy our beautiful “new” kitchen and “new” bathroom! Thanks again for all your hard work. Thank you so much for my beautiful new kitchen. I appreciate all your advice & efforts. Our bathroom turned out great! We Love it! We want to thank you all for your courtesy and excellent service. Your staff and subcontractors were friendly, respectful and skilled as well. We would highly recommend Hamilton Kitchens to friends and neighbors. Please thank everyone involved with updating our kitchen for the wonderful work they each did.What an amazing group of individuals you have working for and with you. Doreen ensured everything went well (which we were so grateful for). The professionalism and pleasantness was so refreshing.